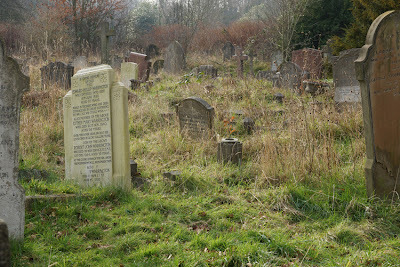 Ladywell may be a local cemetery, but many of its gravestones have international links. Among these is the memorial to Augusta Mary Blandford, who died aged 71 in 1906. She was the second daughter of John Folliott Blandford, born in 1800 in Wiltshire and by 1829, a chemist and druggist in London. He and his family were members of an evangelical congregation and at the age of seven, Augusta 'was led ... to yield herself fully to Christ.' She never married, and spent 44 years as a missionary in Travancore, India. Augusta first worked as a teacher in London, before deciding that mission work was her vocation. She was sent to India in 1862, attached to the Indian Female Normal School and Instruction Society. Her adventures began with a shipwreck near Madras; fortunately, she survived and by 1864 was transferred to Travancore, a princely state in Kerala, South India. At least part of the region's appeal to her may have been the relative freedom women enjoyed. In the second half of the nineteenth century, when Augusta was there, its rulers were enacting a number of social reforms. Some of these were instigated or supported by Protestant missionaries, particularly those removing discrimination against lower castes. In 1880, the Church of England Zenana Mission Society was founded and the school became part of this new organisation. 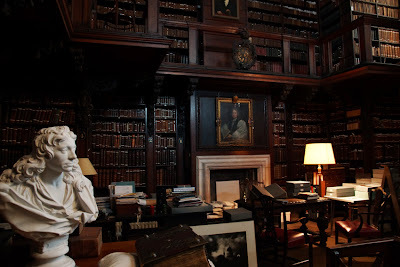 The following year, the school had to move premises when an unsympathetic new diwan took office - but within a few months, he had agreed it could return to the original premises. The 'temporary' site remained open as a separate school. She also opened a small women's hospital and dispensary. My farewell to Travancore is a sad one. I came here as a bright young girl, full of hope that God would bless my work, and that much good would be the result ; now, after forty-three and a half years of labour, the darkness and ignorance seem much the same. This speaks of the difficulties of her work - and also of the negative attitudes to Hinduism which underlay her mission. Evaluating her life and goals is thus a complex task for us today: admiration of her commitment to women's education is tempered by awareness of the prejudices and imperialism which also informed her work and attitudes. Augusta returned to England after her retirement, but did not live long. 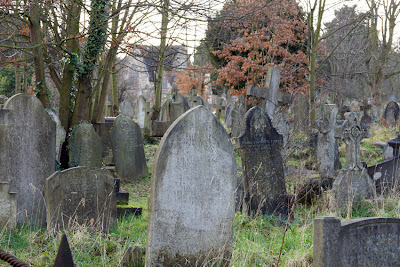 She died at her sister's home, and shares a gravestone with her sister and brother-in-law; thus Ladywell Cemetery is the resting place of a woman whose life's work had been half a world away. 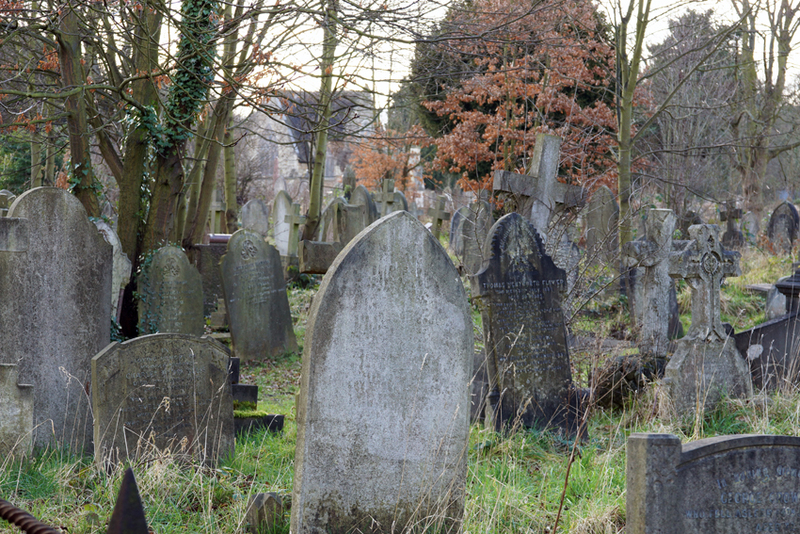 As London's churchyards became dangerously overcrowded in the nineteenth century, new facilities had to be established outside the city centre. The most famous of these are the 'Magnificent Seven' built by private companies. 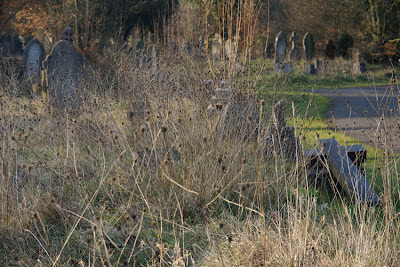 However, they were not London's only Victorian cemeteries: public cemeteries, as at Lewisham and Deptford, were also created. These two, neighbours divided only by a wall, later became known as Ladywell and Brockley Cemeteries and were united when the current London Borough of Lewisham came into being. 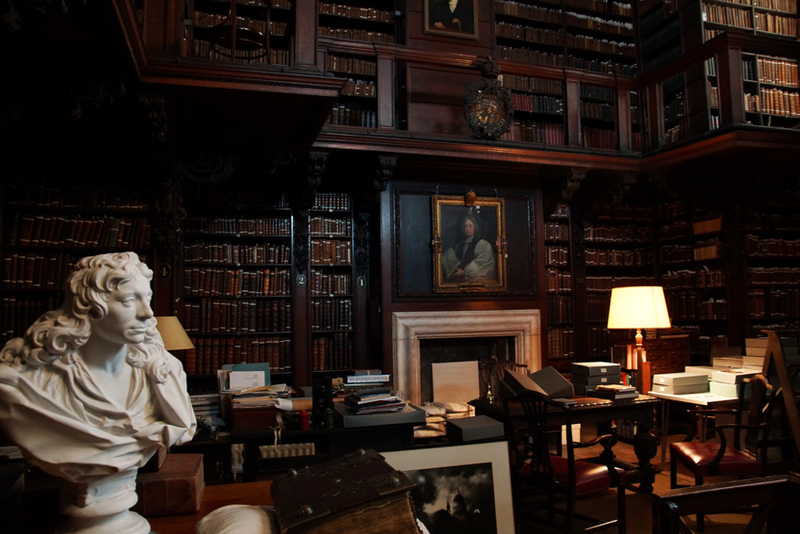 Both were opened in 1858, so it is unsurprising that they are full of interest. 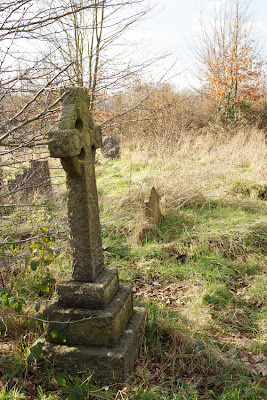 Among the more famous occupants of Ladywell Cemetery are Sir George Grove (of Grove's Dictionary of Music and Musicians) and poet Ernest Dowson, who coined the phrases 'days of wine and roses' and 'gone with the wind'. However, perhaps Ladywell's greatest interest lies in its atmosphere of quiet dilapidation and in the glimpses it offers of varied lives. At one extreme, Joseph Henry Blackburne combined chess with showmanship and ostentatious heavy drinking during matches: a very public rejection of his father's temperance campaigning. He learned the game at the age of 18, quickly excelled and became British champion in 1869, aged 26. Although he competed successfully at international level, most of his income came from playing exhibition matches blindfold or against multiple opponents simultaneously. Blackburne, nicknamed 'the Black Death', drank whisky heavily while he played, claiming that it cleared his brain. Despite a hectic schedule (it is estimated he played 100,000 games in his career; he was also chess correspondent for The Field) and his whisky consumption, he would live to the age of 82. A pile of stones marks the site of his burial. By contrast, another fallen stone marks a private tragedy and early death. 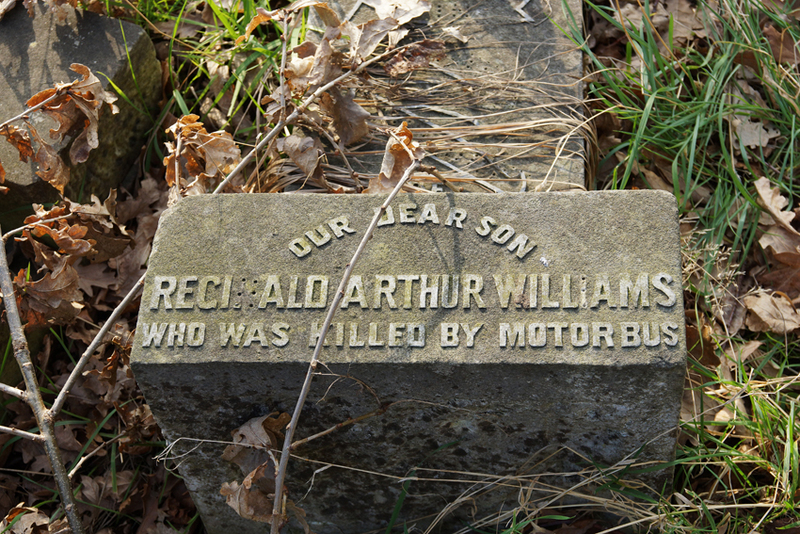 Seven-year-old Reginald Arthur Williams died in 1916, "killed by motor bus" - a terse account reminiscent of the inscriptions on the Watts Memorial. The 1911 census fills out some more details about Reginald's life. 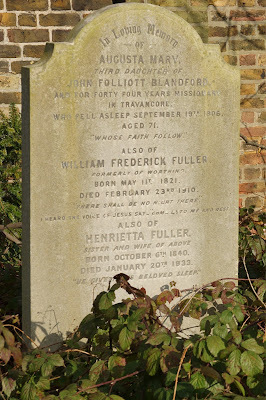 He was the son of Arthur and Beatrice, fishmongers who lived at Muirkirk Road, Catford. 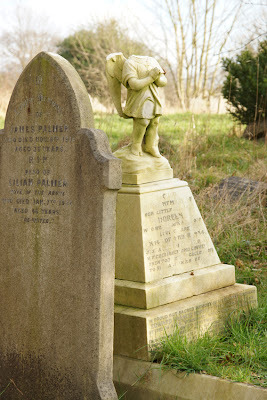 Their business also employed a 38-year-old man and their eldest daughter, so the family was prosperous enough to afford a gravestone. 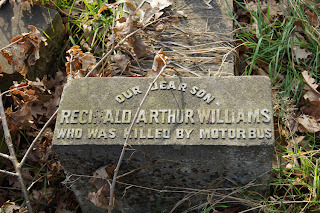 Reginald was the youngest of five surviving children, and the only son. 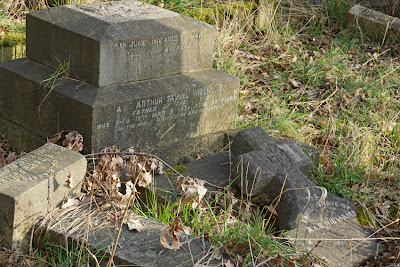 Arthur would outlive him by 16 years; although the stone marks 'the family grave of A&B Williams', other family details are not visible. It is worth taking a guided tour of the cemetery with the Friends of Brockley and Ladywell Cemeteries to discover more of these stories. 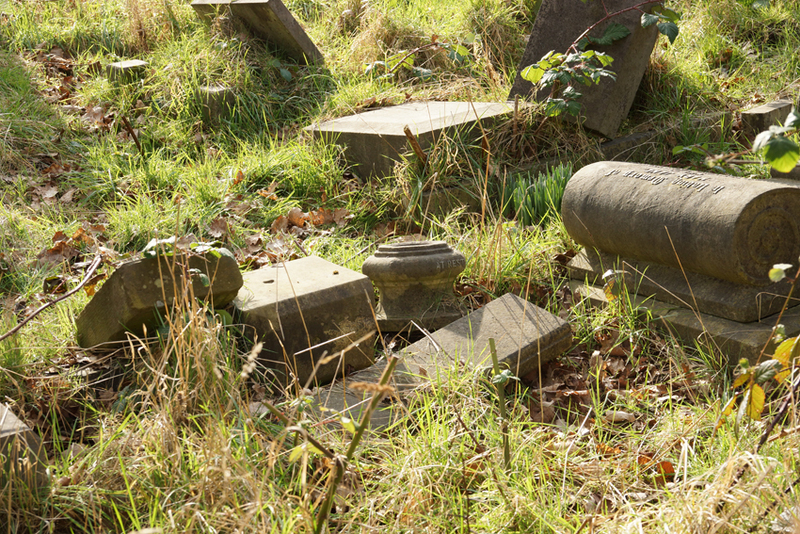 Their website also features the life stories of others buried there. 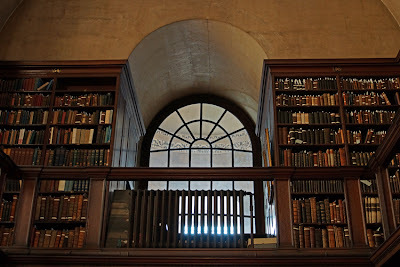 We should be grateful to the engineers of Victorian London that St Mary Woolnoth still stands. The church is directly above Bank station, so any mistake in their calculations could have seen the building drop into the earth. Less gratitude is owed to the company responsible for building the station, the City & South London Railway, who planned to simply demolish the church - or to the authorities who gave them permission to do so. Only after public protests was demolition avoided, and the church's well-being left to the skill of the engineers. 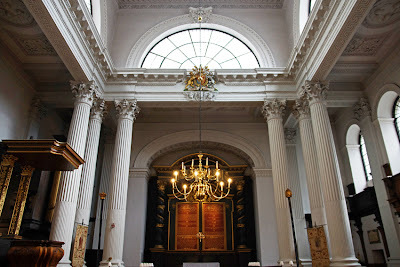 Thankfully, all went well and the only Hawksmoor church in the City of London continues to welcome visitors. Although the site has held a church since Norman times, this building was opened in 1727. 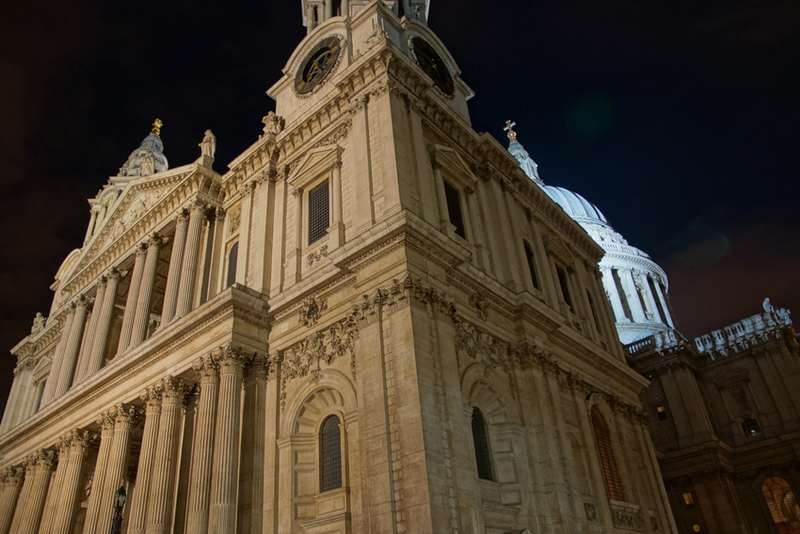 It has a slightly unusual history: the previous church survived the Great Fire of 1666, albeit badly damaged, and was restored by Sir Christopher Wren. However, it became apparent that the structure remained unsafe. Thus, 45 years after the fire, it was demolished. 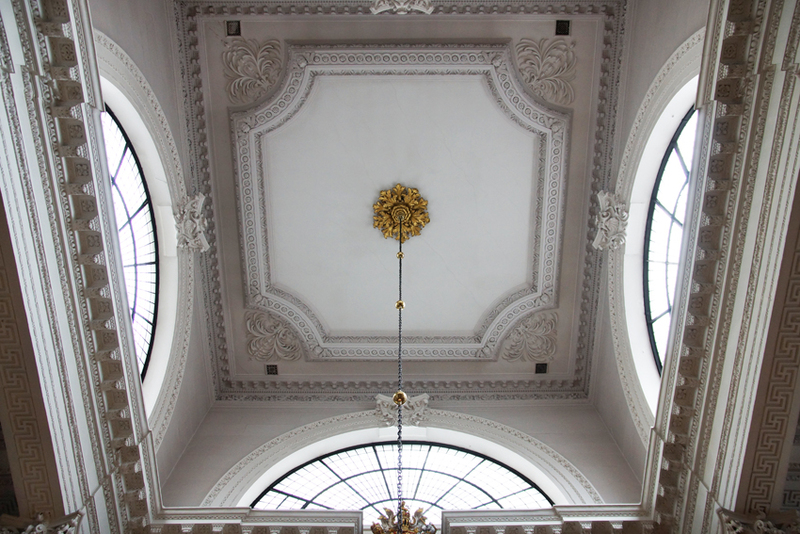 Hawksmoor built the replacement as one of Queen Anne's 'Fifty New Churches'. 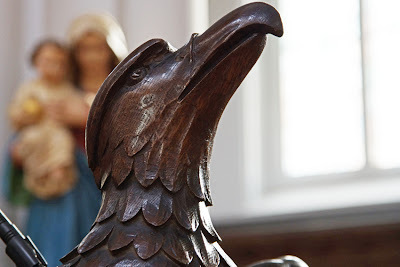 (Since the scheme was supposed to provide Anglican churches where none yet existed, it was a little cheeky of the Commissioners to approve this.) It is in English Baroque style; its interior is a square within a square, with clusters of columns at each corner of the inner cube. To insulate the worshippers from noise, there are no windows in three of the four exterior walls; instead, light floods down from above. 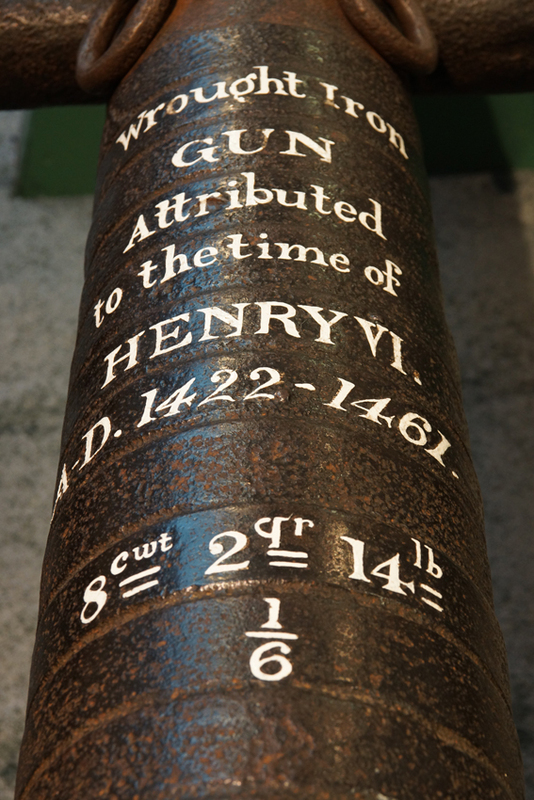 Newton had studied throughout his career at sea and, after returning to land in 1755 because of health problems, sought work as a minister. He eventually became rector at Olney in Buckinghamshire (where he wrote Amazing Grace) before moving in 1780 St Mary Woolnoth. In 1788, he finally disclosed his slave-trading past and became an active abolitionist. 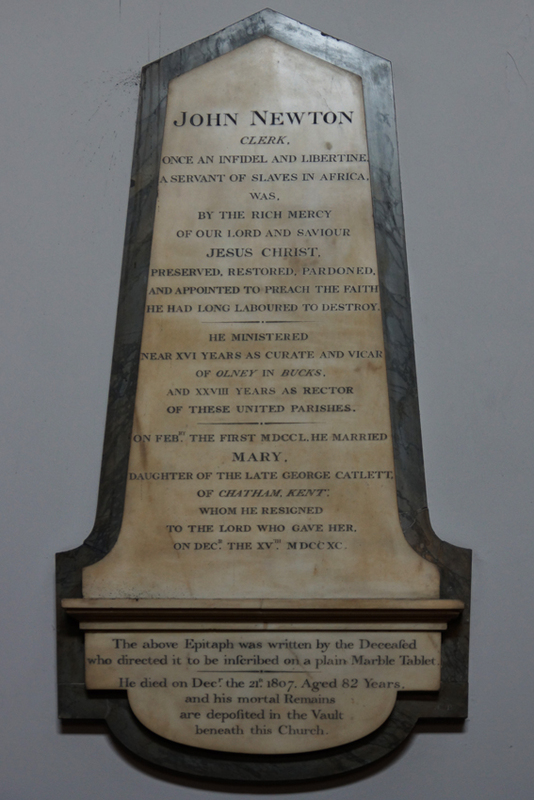 His opposition to the slave trade informed his preaching as well as other activities including publishing an anti-slavery pamphlet which described his own past, and giving evidence to a Parliamentary Committee, testifying to the hideous conditions suffered by those transported as slaves. The epitaph on his memorial tablet, written by Newton himself, includes the words 'once an infidel and libertine, a servant of slaves in Africa, [he] was, by the rich mercy of our lord and saviour Jesus Christ, preserved, restored, pardoned, and appointed to preach the faith he had long laboured to destroy'. 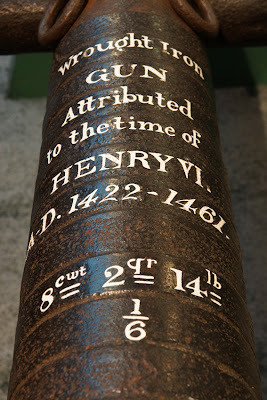 Newton was originally interred in the church crypt. 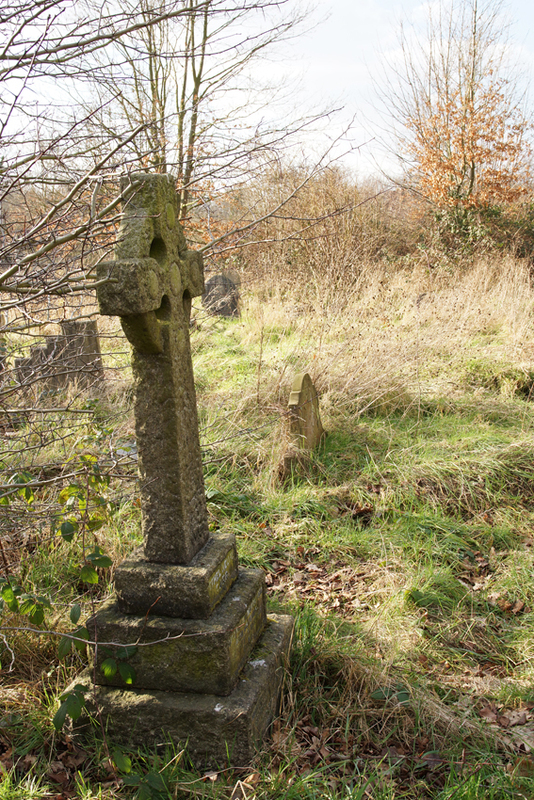 However, when Bank station was built, the crypt had to be emptied of human remains, and he and his wife are now buried in Olney. 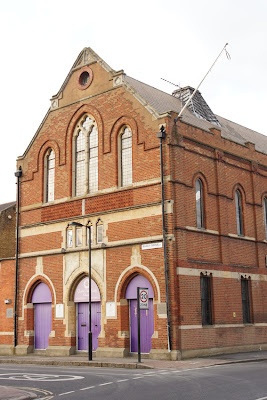 A church on Ilderton Road, Bermondsey is a reminder that Victorian missionaries did not always work overseas. Many public schools and Oxbridge colleges ran missions in poorer parts of London. Something of an Oxford-Cambridge divide was at work in the capital, with Oxford University's settlements mostly in the East End and Cambridge's in South London. True to form, this was the church of a Cambridge mission, that of Corpus Christi College. These missions were filling gaps in both social and religious provision by the established church. Many parishes were too large and had too few resources to adequately undertake all the work required for their poorer parishioners. Often, they did not even have enough seating in their churches. A mission would take over part of a parish (with the incumbent's agreement), building a church and usually also offering various social services. Students and graduates might spend time at the mission - not only to carry out social work, but also to learn something of the lives of the poor. On the side of the church wall is a commemorative stone, laid by Lady Wimborne. She was the aunt of Winston Churchill, and a friend to royalty whom she entertained in her Bournemouth villa. She also had religious interests: in 1899 she would found the Ladies' League for the Defence of the Reformed Faith of the Church of England. 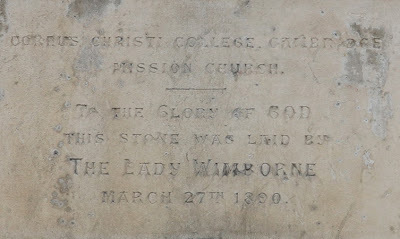 Although the stone is dated 1890, the mission had begun in 1887. Its first premises were under a railway arch, before the present building was complete. I have found no reference to the truncated spire base on its roof; perhaps there was insufficient money to finish it. The church was not consecrated, and so could be sold in 1962. For a while, it served other purposes but is now used once more as religious premises, the Christ the King Chapel. Almost in the shadow of Millwall Football Club's stadium, the building now looks a little awkward and isolated. 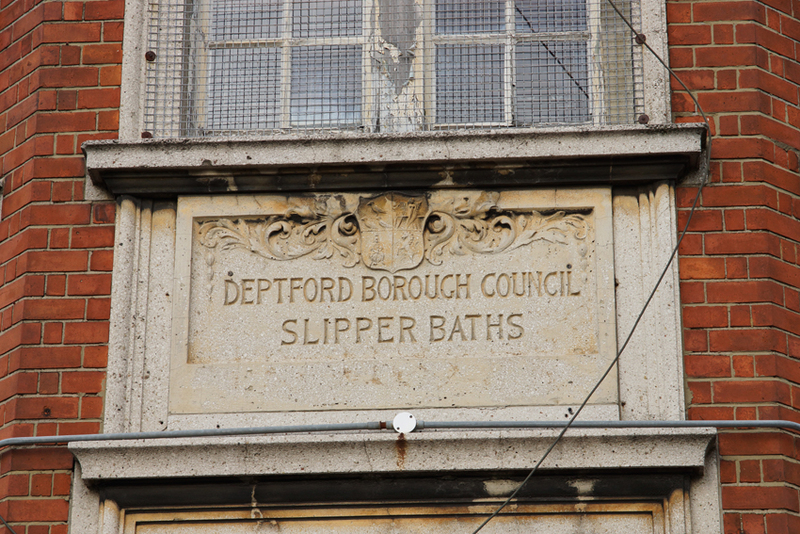 However, a carved sign above the door reveals its original purpose as home to Deptford Borough Council Slipper Baths. If we think of council baths, then we probably picture swimming pools - after all, those are still in use today. Many local people needed more than exercise, though: in crowded homes with no bathrooms, the simple bath was a luxury. The Baths and Wash-houses Act 1846 allowed - but did not oblige - borough councils to provide facilities for the sake of public health. While such amenities were often combined with a public bath for swimming, this building housed only individual facilities. It's not easy to pin down exactly what gave the baths their resemblance to a slipper - accounts variously suggest that they had partial covers or that they were draped with towels (in either case, to keep the heat in and perhaps improve privacy), while some definitions emphasise one end of the bath being higher than the other. 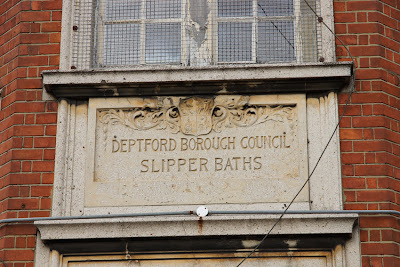 Thank you to Peter Robins for sharing the appealingly outdated definition in his 1989 copy of the Oxford English Dictionary: 'a partially covered bath shaped somewhat like a slipper ... now usually one of a number of single baths of the modern domestic style installed for hire at public baths'. 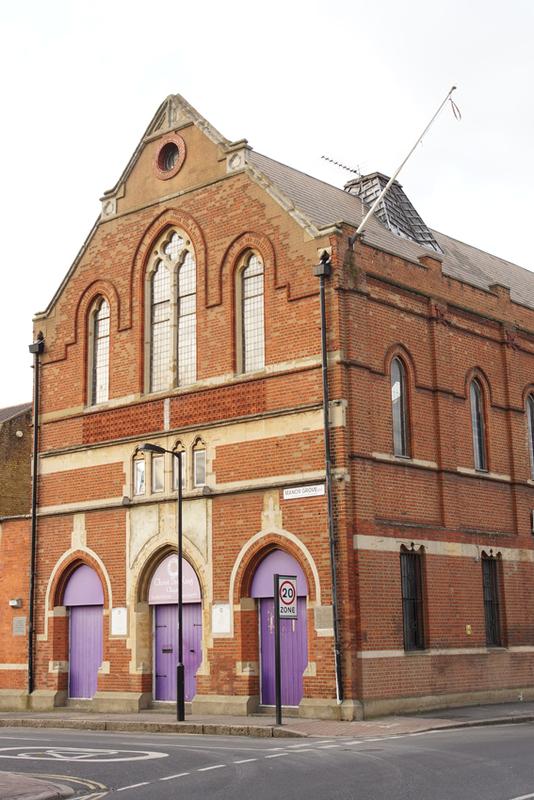 The entrance is at the corner of Stockholm Road and Ilderton Road, and gives direct access to an octagonal hall, adjoining which are a waiting-room and office and store. Accommodation is provided for eighteen baths, all of which are placed on the ground floor, the cubicles being tiled from floor to ceiling, with a view to keeping down the cost of maintenance. On the first floor, a flat containing a living-room, two bedrooms, and a kitchen-scullery is provided for the superintendent, while the basement is utilised for accommodating the boiler, fuel, and storage of hot water. 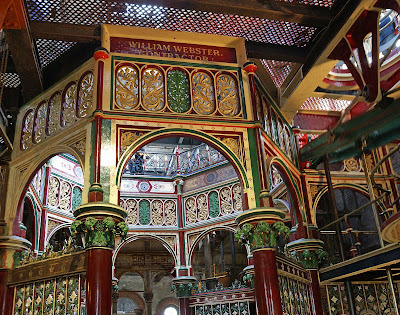 The baths were designed by Messrs. Joseph and Smithem, of Queen Street, Cheapside, and erected by Messrs. W. S. Barton and Co., of Chancery Lane, W.C.
Queuing to take a turn in a bath might seem anything but luxurious today, when almost all homes have a bathroom with running hot water. However, until relatively recently, bathing for many households meant getting out the tin bath and then heating water on the stove to fill it (or at least a few inches of it). The deep and copious hot water of the slipper bath, and its relative privacy, were a real treat for many until well into the 1960s. The bath cost sixpence per person, but Mum and I always shared a bath to save money. When your turn came you were ushered into a cubicle with a bath and some coat hooks, and a big water spout into the bath, but no control on it - the water was turned on from the outside of the cubicle by the lady Attendant. She would put hot water in to start, and then the cold. If it was still too hot, you would have to call "More cold in No. 6, please", and she would eventually come and add some cold water. Emerging with wet hair and shivering with the cold in the winter, we would go to buy our weekly treat - fish and chips, eaten from the newspaper on the walk home - heaven! By 1975, the baths were closed and the building empty. 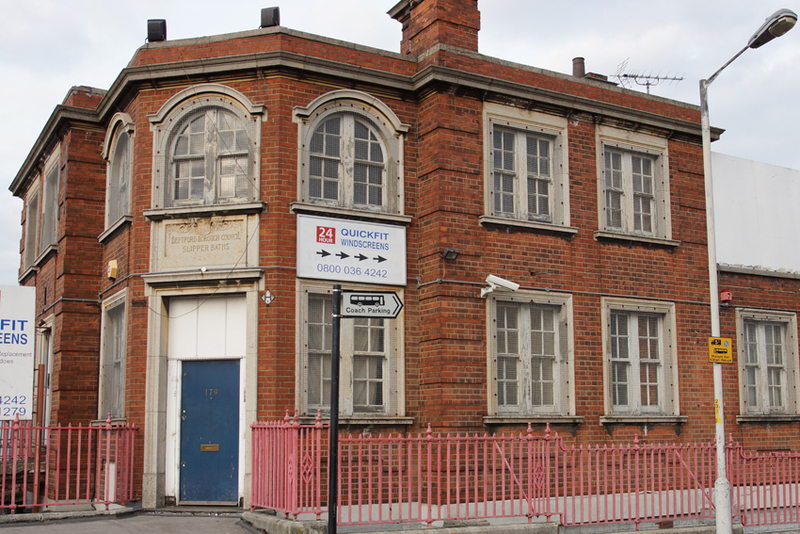 It was converted into a motoring workshop for young offenders, and the baths and partitions were stripped out. Underneath was a coke cellar which ran the length of the building: a last reminder of the huge water-heating operation which had formerly taken place here. The workshop is now also long-gone. A few years ago the building was home to Shekinah Ministries; today the signs are for 24-hour windscreens. When I visited the Breton village of Guenroc, I was really there for its distinctive carved chimneys. 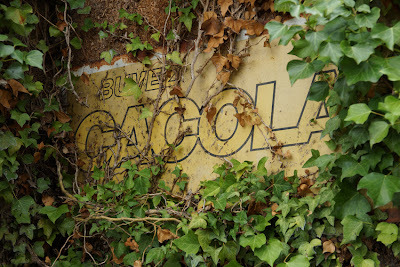 However, I also found an old sign, rusted and half-obscured by foliage but still clinging to the wall. It advertised Cacolac, which an internet search showed to be a chocolate milk. It is still manufactured today, but I had not noticed it in the shops. The sign soon slipped out of my mind. 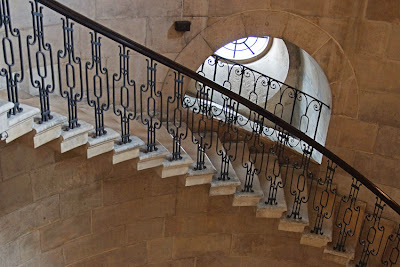 Happily, I was reminded of it when I chanced upon a post on Invisible Bordeaux. The drink is Bordelais, perhaps inspired partly by the availability of cocoa beans in the city's docks; created in 1954, it is still made to the original recipe. There's more to the story - do go and read it; best of all, my curiosity is now satisfied. There's also a new item on the shopping list for my next visit to France! 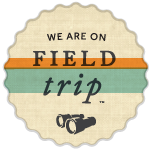 Over the years, I've shared my visits to all sorts of London places - so it seemed a good idea to bring them together and make them easier to explore. If you're looking for somewhere different in the city, have a look at my new 'Unusual London Places' page which lists a selection of favourites. They range from parks to pumping stations! One of the numerous City of London churches, St Mary has two outstanding features. 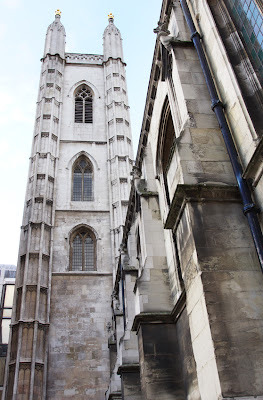 The first is its slender, elegant tower which caught my eye as I walked along Queen Victoria Street. 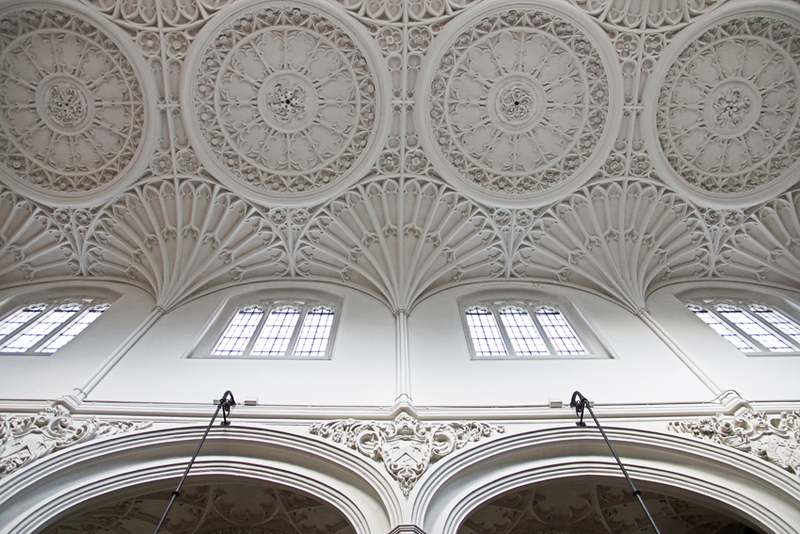 The second is inside: the magnificent fan-vaulted ceiling. St Mary is thought to take its name from being the oldest church in the City dedicated to the Virgin Mary, and has been here for over nine centuries. 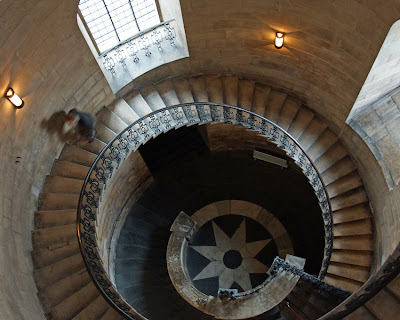 John Milton, author of Paradise Lost, was married here. 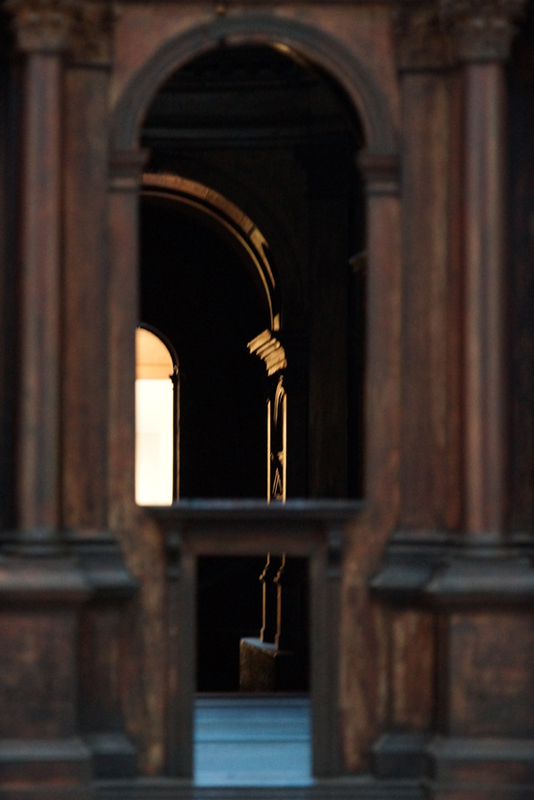 However, like most City churches, it was badly damaged in the Great Fire of 1666. Only the base of the tower and parts of the walls remained. St Mary's was rebuilt by Wren's deputy John Oliver, in a similar style to its predecessor. It is therefore unique in having been rebuilt in the Gothic style. The parish had more influence than most on the design because the work was funded by Henry Rogers of Somerset, not the state. St Mary's did not suffer too badly in the Blitz, but did lose all its stained glass windows. They were mostly replaced in the 1950s, and the West Window commemorates the defence of the City against air attack. The Royal Tank Regiment has its memorials here, and its standards hang from the wall. The church is now used by the Moot monastic community, whose focus upon hospitality means that alongside prayer and meditation events, the church offers a cafe (with the superbly punning name Host). 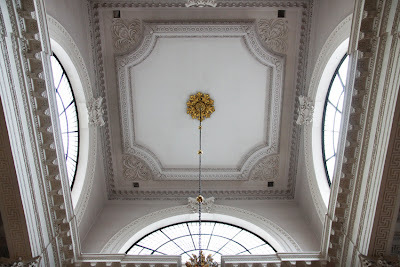 Visitors can therefore take a coffee break under this exceptional ceiling. The Royal Artillery Museum dates back to 1820, and the regiment's connections with Woolwich go back further still. 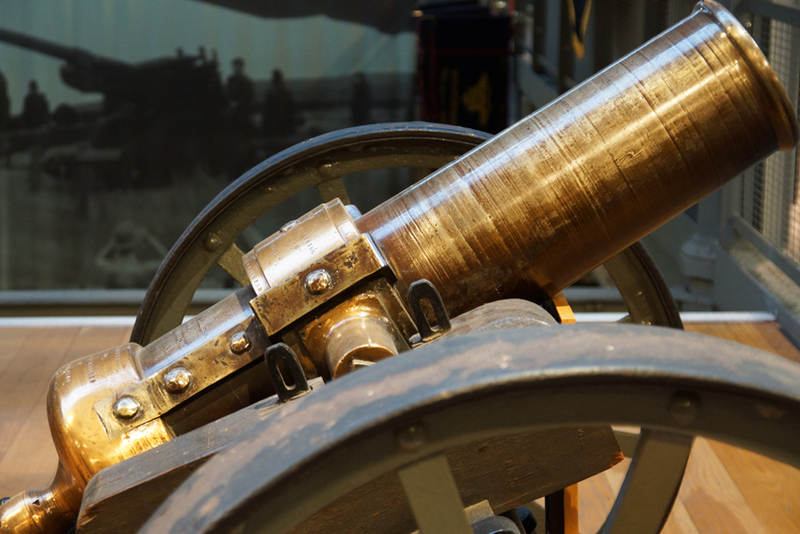 Now known as Firepower, the museum is located a short walk from the station and at the heart of the Royal Arsenal, where some of the guns on display were manufactured. 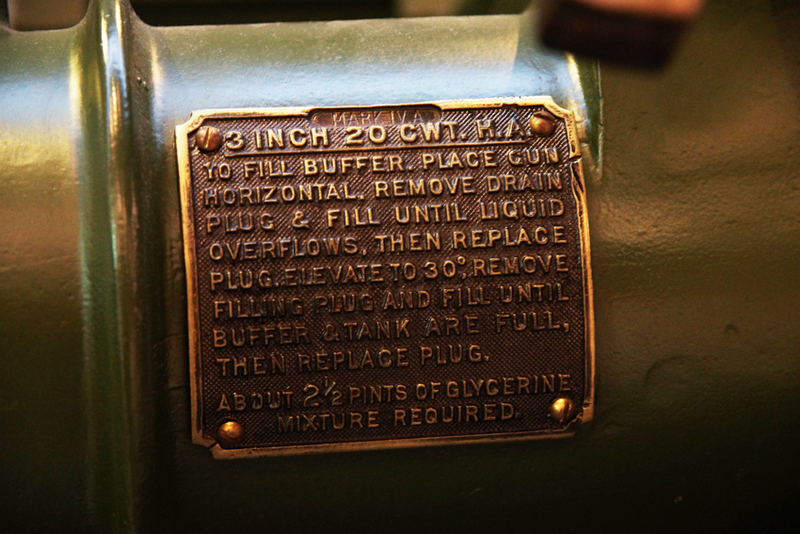 It is in the former Royal Laboratory Department buildings (the department was responsible for the manufacture of ammunition). The museum tells the story of artillery from the earliest guns to the present day. That obviously involves plenty of weaponry, but also varied displays, films and activities as well as other items including uniforms, medals and images. As someone with only a mild interest in military history, I was surprised to find that the museum kept me fully entertained all afternoon (so much so that I ran out of time for a planned cup of coffee in the museum cafe!). 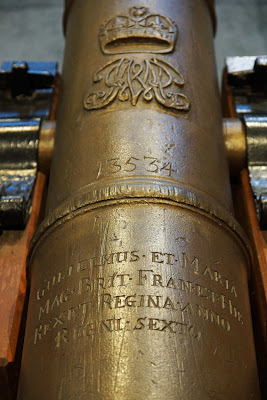 Many of the earlier guns have decorative features, royal crests and even rather jolly paint schemes. In fact, some are so attractive that it's easy to forget their grim purpose. 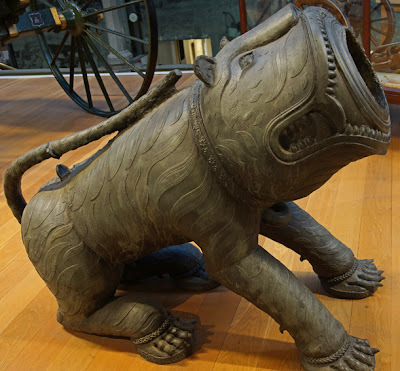 The most elaborate example of such decoration is an Indian tiger-shaped gun. Not quite completed when it was captured by British troops, the display speculates that it was possibly intended for the Sultan of Mysore. 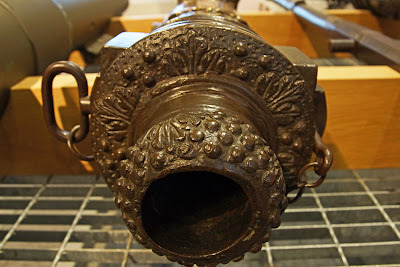 Later weapons focused on utility rather than decoration. 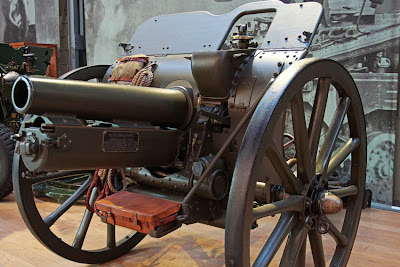 As more fire became indirect - in other words, the gun was out of sight of the enemy or target - so camouflage became more important too. 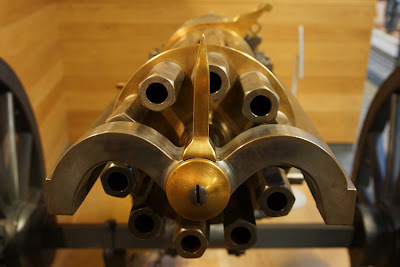 Technical innovations brought other changes: the multi-barrelled machine guns of the late nineteenth and early twentieth centuries, for example, which look odd to us today. 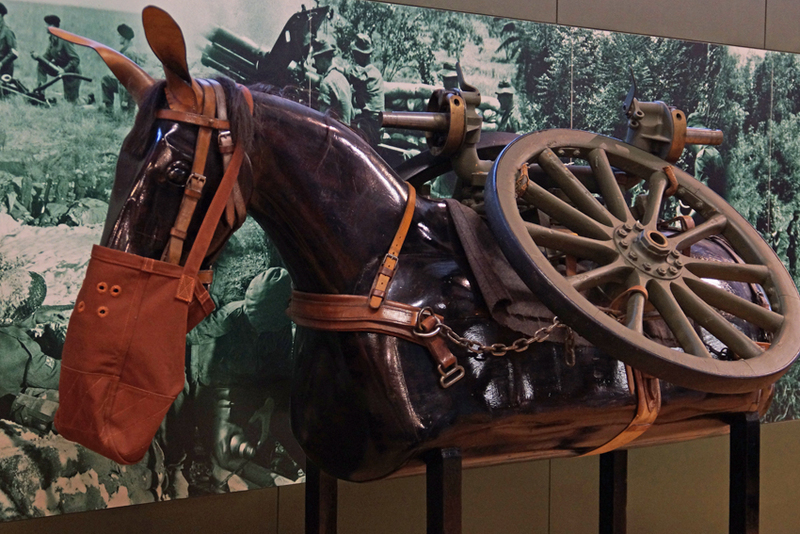 There are unexpected items among the artillery pieces, including a training mule! Some guns, such as those used in mountain areas, were able to be dismantled and transported by mule. 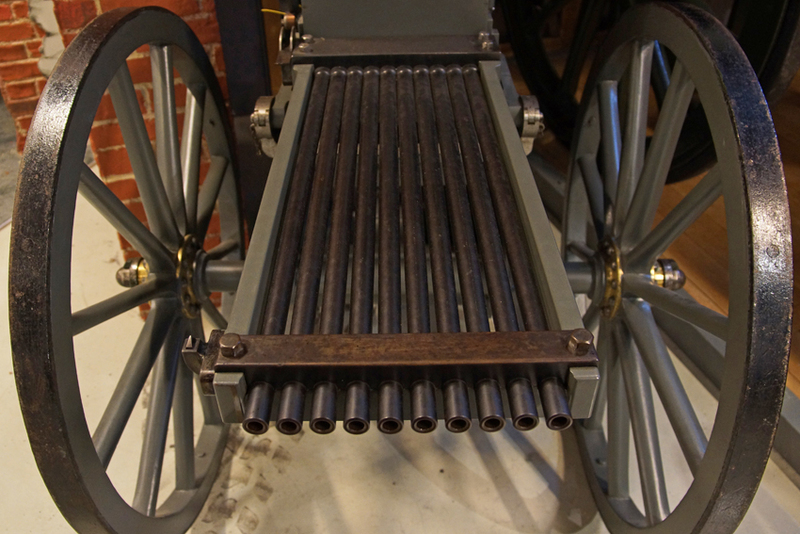 These models were used to train gunners to load and unload the weapons. Make-do-and-mend can be found here, too. 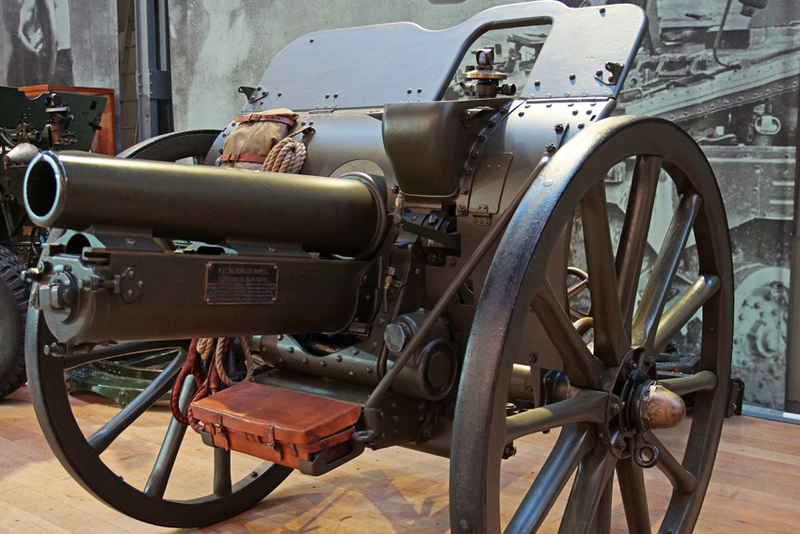 This 'Wolf' gun was constructed in besieged Mafeking during the Boer War, using spare metal parts and the wheels of a threshing machine. It bombarded Boer positions during the siege. 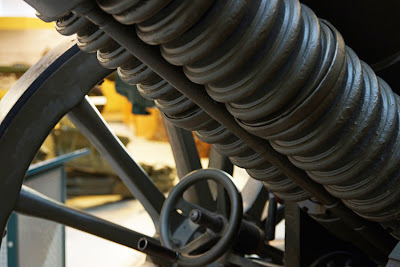 While there are Cold War-era items in the main displays, the larger pieces are stored separately and accessed by guided tour. 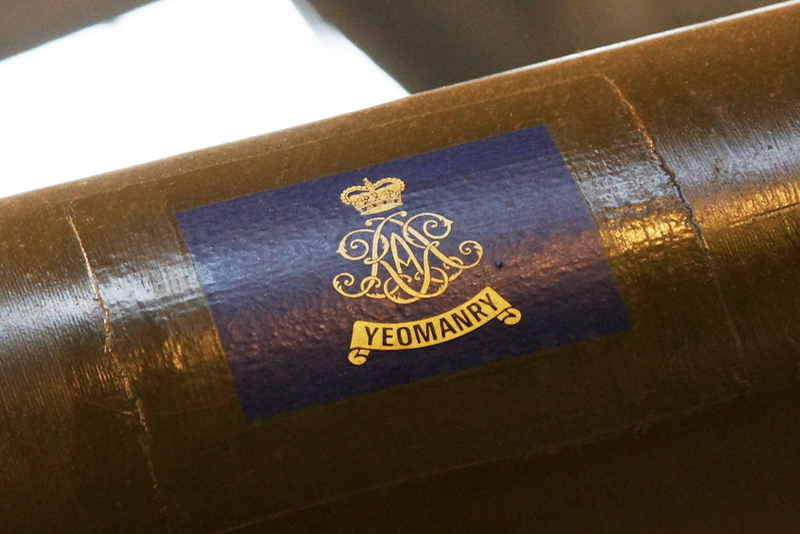 Back in the main building, a gallery devoted recent conflicts and deployments brings the regiment's story to the present day. Imagine your dream library. 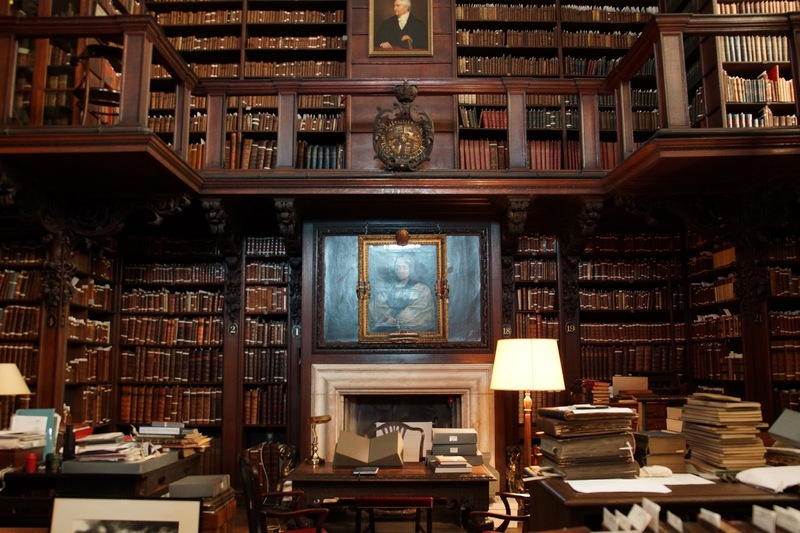 If it has wooden bookcases, a gallery, a fireplace, random busts for variety, and of course books piled everywhere, then the library at St Paul's Cathedral will definitely appeal to you! 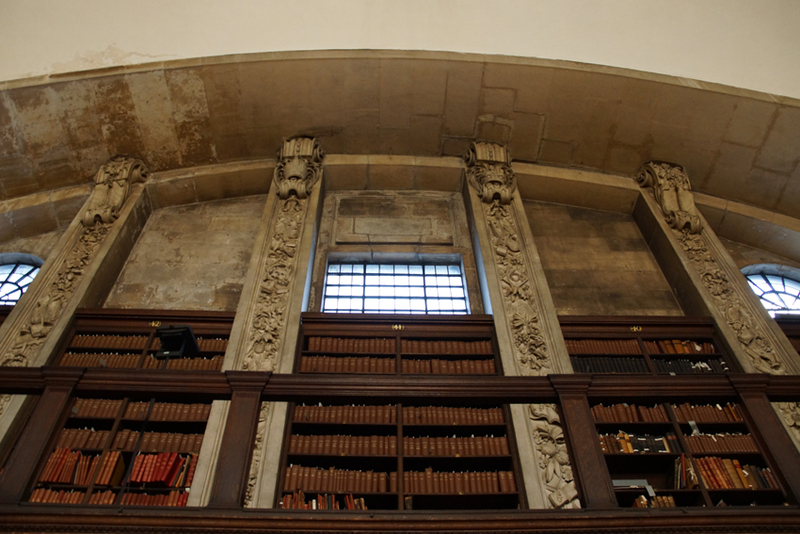 When London burned in 1666, the cathedral library perished in the flames. 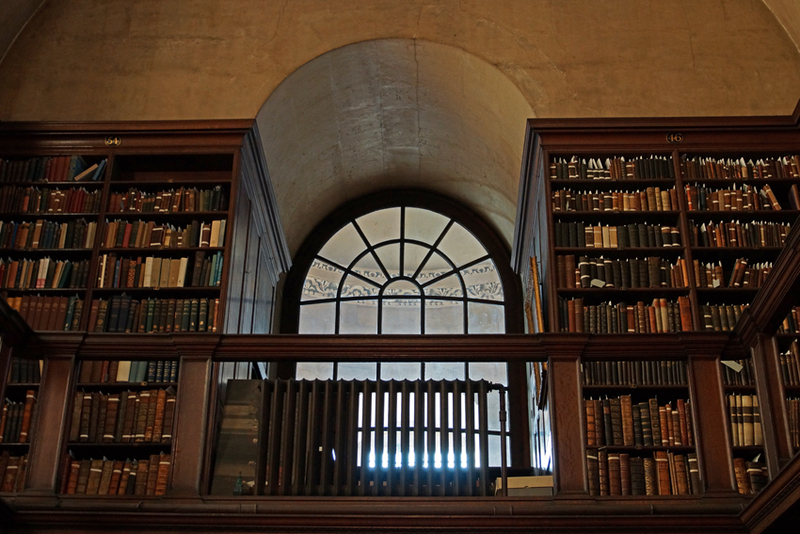 Undaunted by the lack of books, Sir Christopher Wren was careful to include a new library in the rebuilt cathedral. 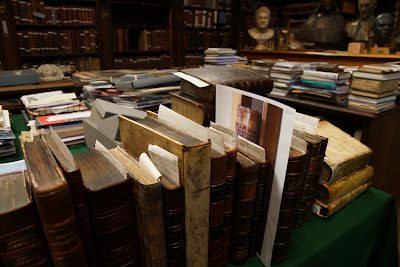 Henry Compton, Bishop of London, bequeathed his own collection of several thousand volumes and the Commissioners bought many more. The collection has continued to grow. 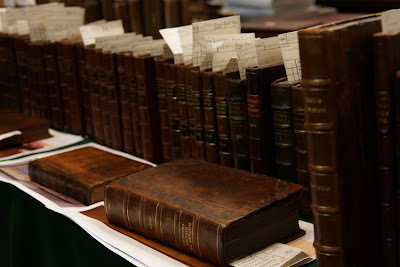 Among the books held here is an original Tyndale bible. William Tyndale translated the gospels into English, and as a result was condemned as a heretic by the Catholic church. 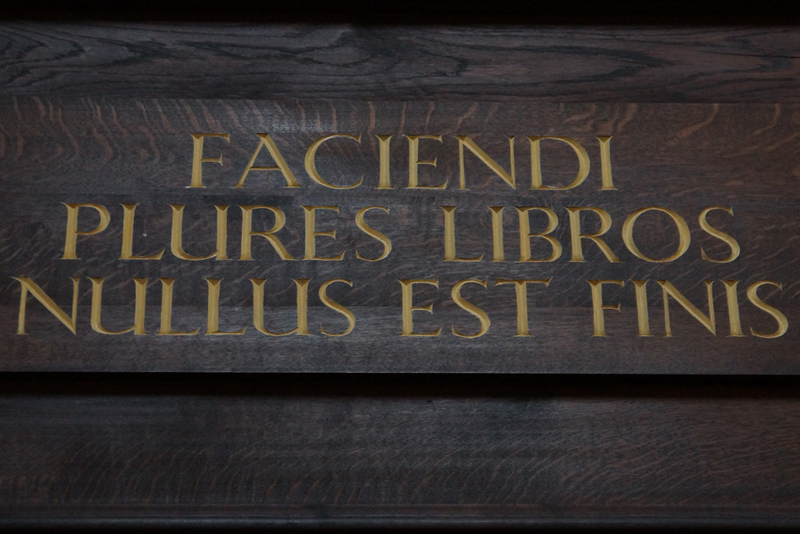 He was executed, and copies of his bible were destroyed - with a public burning held at St Paul's Cathedral. It is therefore a little ironic to find a rare surviving copy among the treasures of its library today. 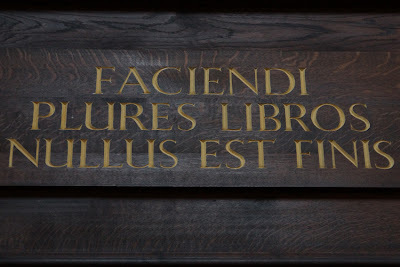 Practical information: the library is open by appointment to researchers. In 1666, the Great Fire of London burned away most of the mediaeval city. 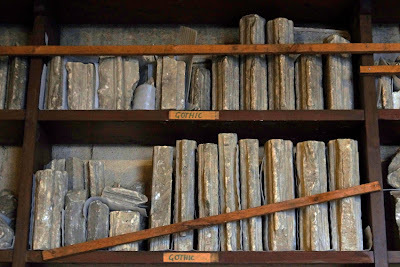 Among its victims was the great cathedral, St Paul's: fed by wooden scaffolding climbing its walls, and thousands of books stored in its vaults, the flames consumed the stone until almost nothing was left. Only almost: some statues were salvaged, blackened by fire and missing extremities such as hands, feet and noses. 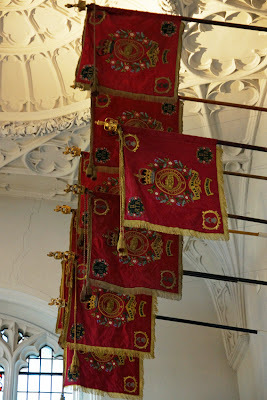 They can be seen in the rebuilt cathedral. 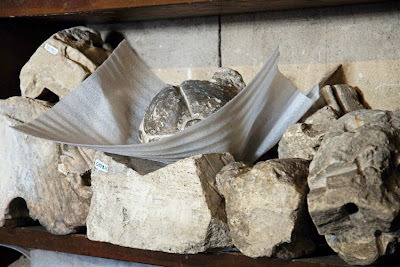 As for the stones, small pieces were found in the nineteenth century and are carefully shelved in the triforium above the nave. With little of the old building remaining, Sir Christopher Wren was commissioned to build a new one. What followed was a long, wearying battle with the Commissioners over the design. Plans and drawings went back and forth, and it took nine years to create a design everyone could agree on. 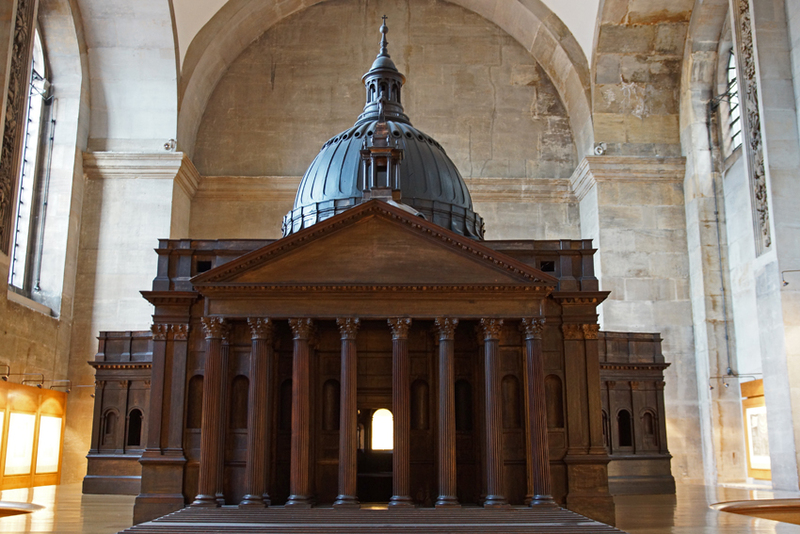 Construction on Wren's masterpiece finally began in 1675. 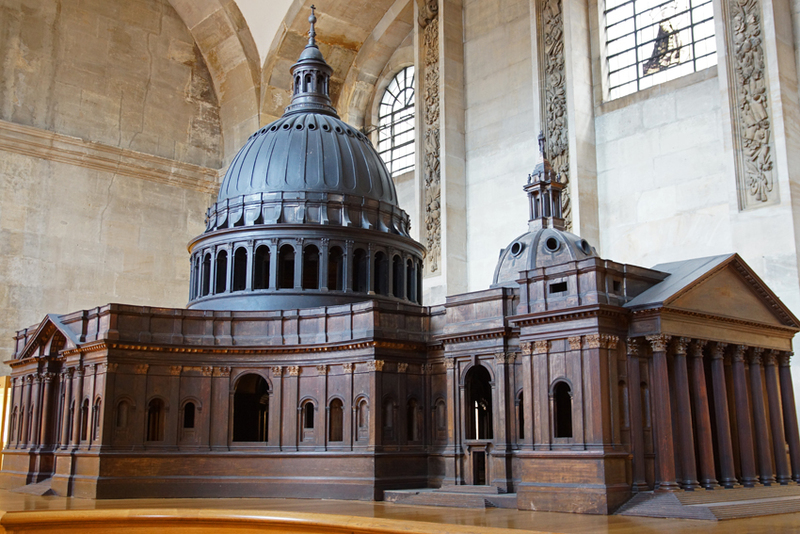 As part of that long process, a model of Wren's proposal was created, to 1:25 scale. 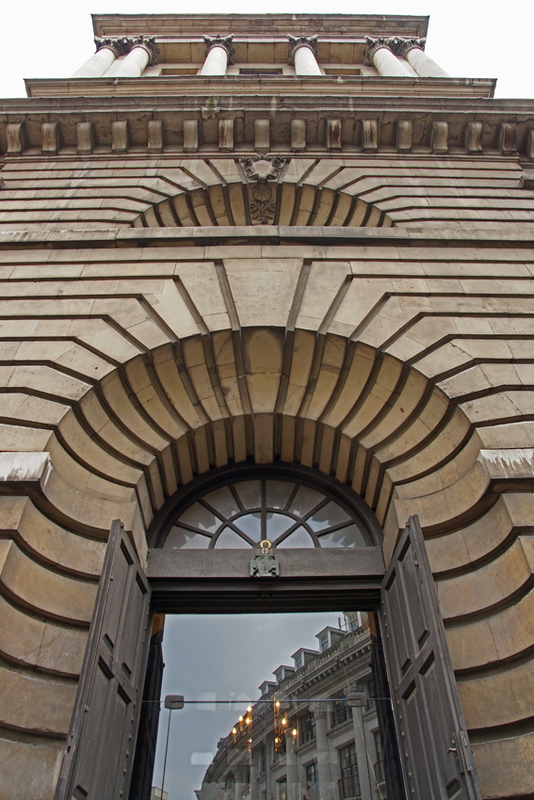 Made in 1673, it represents the third of five designs and, although much is familiar, there are key differences between this and the building it now sits inside. Most notably, the smaller dome to the front would become two towers. Known as the Great Model, this is a work of art in itself. 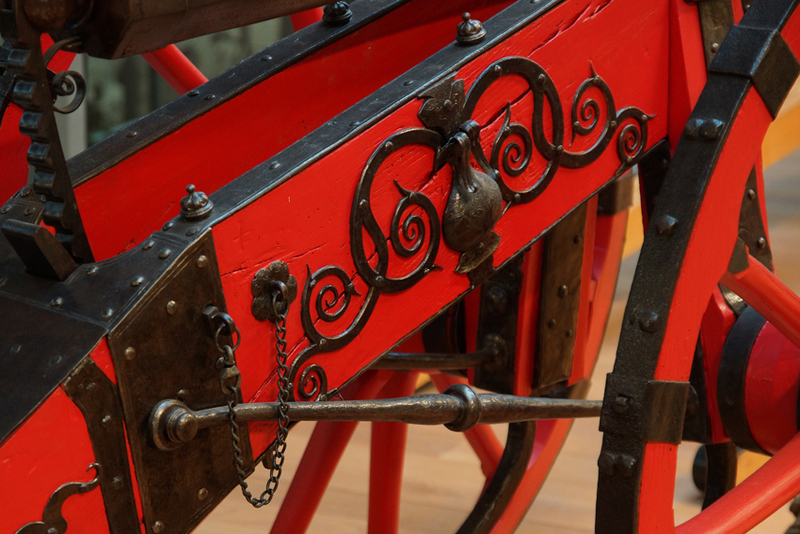 Over six metres long, and made of oak and plaster, it cost over £600 (enough to buy a real house). It should have been a compelling argument in favour of Wren's plans, but various concerns were expressed about such a novel scheme with its lack of resemblance to traditional English churches. Wren was pretty fed up at all this debate and design by committee. After the Great Model was exhibited, he determined to make no more public displays since they 'lose time ... to incompetent judges'. One more design was produced, and finally approved. 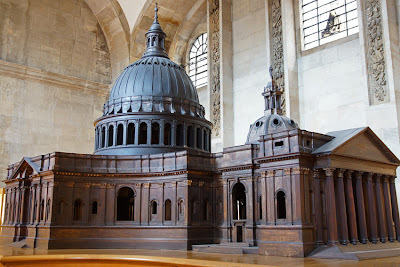 Cleverly, Wren also got permission to make ornamental changes to the plans as he actually built the cathedral - a permission he made liberal use of. 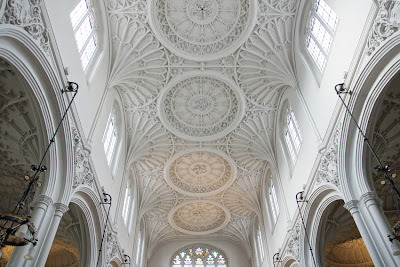 The king probably thought he was allowing his architect to add a carving here and modify one there; Wren interpreted 'ornamental changes' rather more fundamentally so that, for example, the design of the dome was significantly altered and external buttresses, present on the plans, were never built. The word 'iconic' is very much overused, but can justifiably be applied to St Paul's Cathedral. 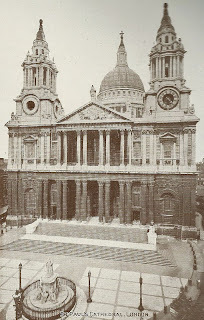 The building which Wren created has become a symbol of the city, most famously in the Second World War when its survival of the Blitz (albeit with significant damage to the east end) was seen as a symbol of London's survival. After extensive cleaning and restoration (still ongoing in the upper parts of the dome), the cathedral is now looking at its very best. The uniform splendour of its pale Portland stone is a striking contrast to the pollution-blackened facade of the past. Practical information: St Paul's Cathedral is open to the public Monday to Saturday (with admission fee); services are free to attend. The triforium and Great Model can be visited on a Triforium Tour (extra charge; booking required).